Team Great Eskape is a co-ed cycling team based in the Washington, DC metro area. Our team motto is "reckless in pursuit of glory" and we pride ourselves on being a fun-first team dedicated to keeping 'cross weird. We love going fast on all manner of bikes, but we mainly stick to racing cyclocross and gravel events. Team Great Eskape isn't just about racing, even though we really love that part. We love to ride our bikes cool places, pitch our tents, sit by a firepit, drink our coffee outside, and generally have a big dumb time. 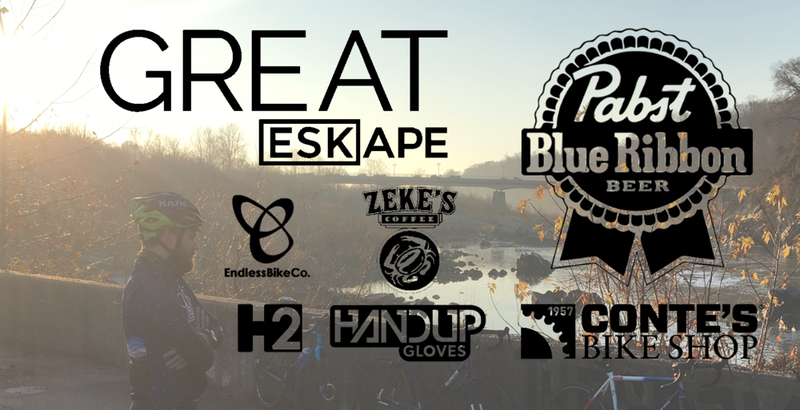 Thank you to PBR, Conte's Bikes, Zeke's Coffee DC, Handup Gloves, Endless Bikes, and Highway Two for supporting our shennanigans!